You can easily remove PDF templates from your list of documents through a button on the right of each listing that says 'Archive'. 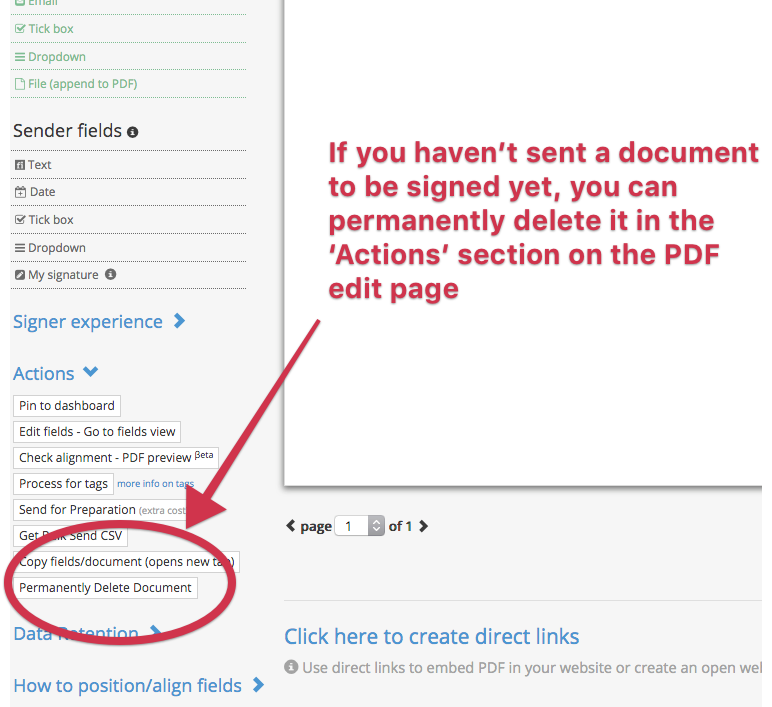 If you haven't sent the document to be signed yet you can still permanently delete it. But once a document is sent out then it can only be archived. A document can also be deleted if it reaches its expiration policy date.